The Board of Health is governed by the Health Protection and Promotion Act. The Ontario Public Health Standards (OPHS) and Protocols published by the Minister of Health and Long-Term Care establish the minimum requirements for fundamental public health programs and services. 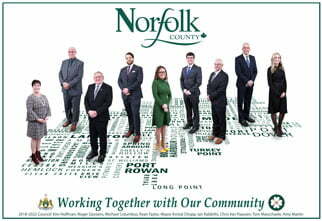 To read the minutes from the Board of Health meetings, please visit the Board of Health area of the Norfolk County site.